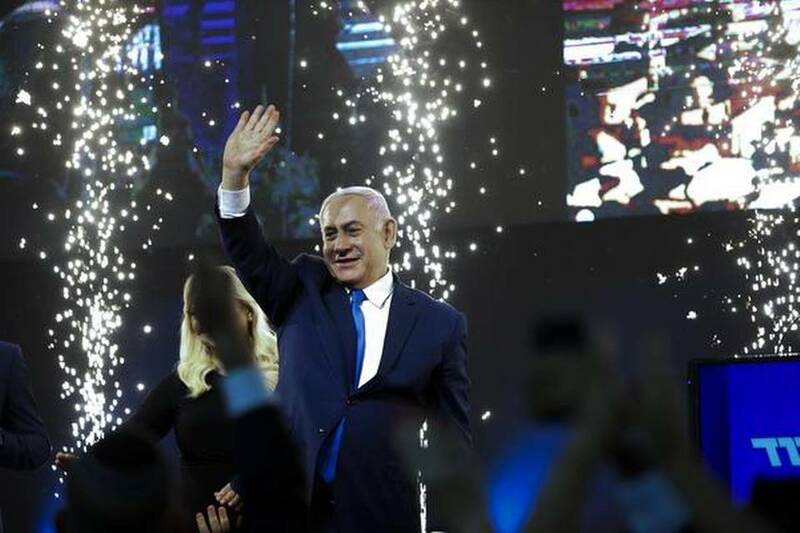 Prime Minister Benjamin Netanyahu has won the Israeli national election, securing a record fifth term in office despite running neck-and-neck with his challenger Benny Gantz, the country’s three main television channels said on Wednesday. With 97% of the votes counted, neither of the candidates’ parties had captured a ruling majority, but Mr. Netanyahu was clearly in a strong position to form a coalition government with other right-wing factions that have backed him. The closely contested race was widely seen in Israel as a referendum on Mr. Netanyahu’s character and record in the face of corruption allegations. He faces possible indictment in three graft cases, and has denied wrongdoing in all of them. The veteran right-wing leader’s Likud party and Mr. Gantz’s new centrist Blue and White party both won 35 seats, according to the Knesset website and the Israeli TV channels. That would mean a five-seat gain for Likud. “It is a night of colossal victory,” the 69-year-old Mr. Netanyahu told cheering supporters in a late-night speech at Likud headquarters, while cautioning that a “long night and possibly day” lay ahead awaiting official results.